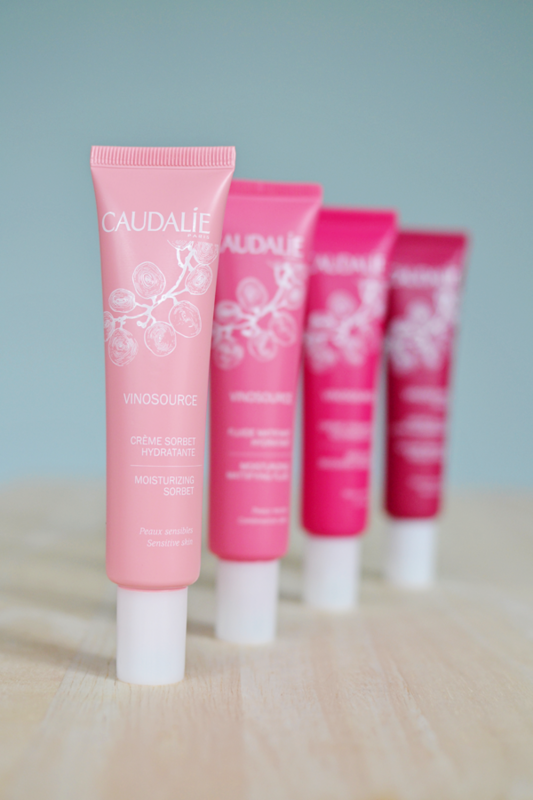 With Vinosource Caudalie launches a new line of soothing, hydrating & plant-based skincare powered by the grape. The line promises beautifully hydrated skin and dreamy sensations, while being easy to introduce into your current beauty routine. With summer fast approaching and the cold winter leaving, my skin could really use a boost in hydration so when I was invited to the Belgian launch of the Vinosource line I happily said YES!I’ve been familiar with Caudalie as I have very sensitive skin and therefor prefer using pharmacy brands over what you find in the high street beauty stores. The Vinosource line fits me perfectly as the products are almost all-natural and very soothing. After the launch event I was suprised with a package to try the new line at home and maybe write down my findings in a blog post. I have to be honest and tell you that I haven’t tried every product (yet), but was very, very happy with the effects of what I got to test so far. Read on for more! PS: I cannot get over how beautiful the packaging of this line is. Caudalie’s classic grape water was a favorite of mine that I lost sight of somehow. You probably don’t need to be introduced to the grape water as it’s one of the beauty worlds most raved about mists. It soothes the skin, refreshes and hydrates and there’s no need to blot it in after spraying. It makes you feel instantly refreshed and clean! I love it! For the launch of the Vinosource line the classic bio grape water is temporarily available in this beautiful deep pink packaging. Star of the Vinosource line is the moisturizing sorbet. Pretty in pink is a real understatement here, as my skin felt perfectly smooth and looked nice and glowy after using. I loved using this product on moments where my skin felt a dry and itchy or irritated. It has an immediate calming effect and again solves the dry feeling almost instantly. It truly is some kind of magic. But that’s what we know Caudalie for, right? Lastly the line has three more moisturizing products for different skin-types. Firstly we have a Mattifying Fluid to control shiny skin and reduce sebum reduction, which is ideal combination skin-types. I haven’t used this yet, as I haven’t had trouble with oily skin for a while (lucky me!). Secondly the Moisture Recovery Cream deserves some attention for it’s comforting and nourishing powers. It gives an extra boost to dry skin, so I sometimes apply it on my problem zones in combination with the sorbet, just for that extra bit of softness. Third and last I want to mention the Intense Moisture Rescue Cream. Labeled as “first-aid skincare” this product promises to be a real problem solver for really dry skin or skin that has been exposed to harsh weather condition such as wind, cold or dryness. Again I haven’t used this yet, as I’m saving it for high summer when I know my pale, dry skin will need it most.As I said in the intro of this post, I am very happy with the soothing effects these products have had on my skin. I haven’t yet had a chance to try everything (but that’s probably a good thing) and might report back when I do. 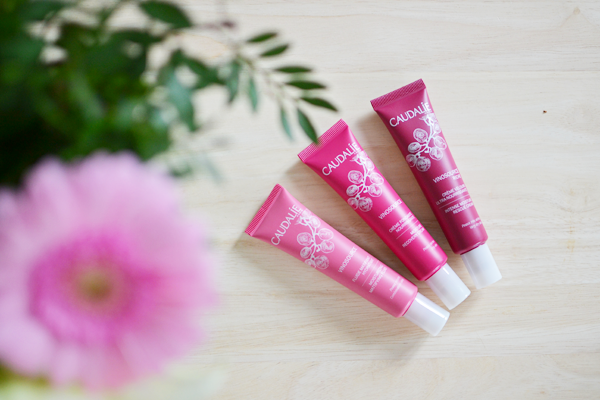 Right now I just enjoy pampering my skin with the grape water, sorbet and moisture recovery cream. The perfect little bit of me-time I’d say! I hope you guys enjoyed this post. What are your thoughts on these beauty posts anyway? 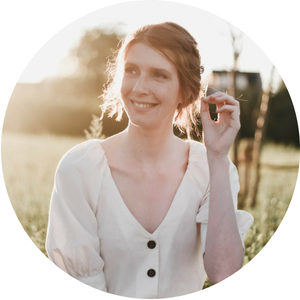 They’re new to The Ginger Diaries and I haven’t gotten much feedback yet so I’m curious to know. Any positive things? Negative maybe? Too long? Not in-depth enough? Lacking character? I’m still learning this whole beauty-writing thing! Feels weird to be a rookie again after so many years of blogging, haha.